Rihanna is Adding Lipsticks and More To Her Fenty Beauty Collection, Get Ready! Just as we were beginning to catch our breaths from Rihanna’s epic Fenty Beauty launch, she’s gone ahead and done it again. 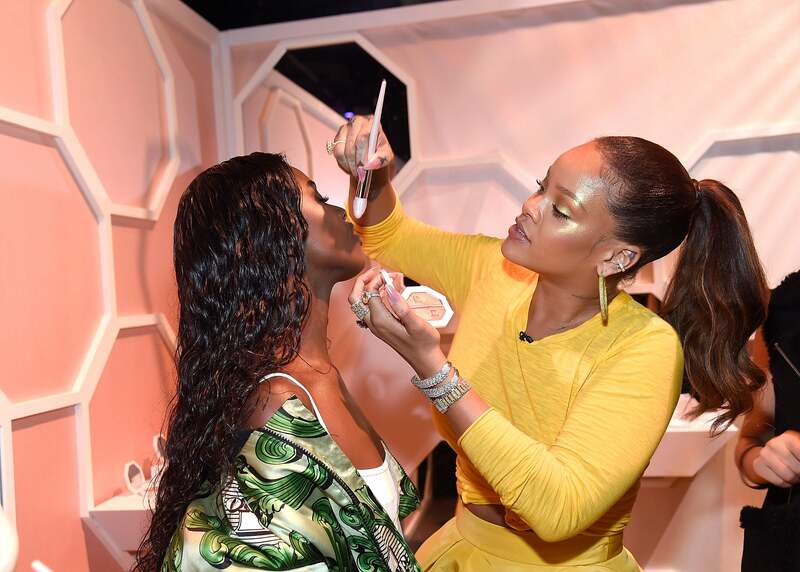 The Wild Thoughts singer has left us completley breathless with the unveiling of Fenty Beauty’s holiday collection. Yes you read that correctly, she has more products coming our way! This installment will feature berry and pink lipsticks as well as an aquatic-inspired eyeshadow pallete. Simply dubbed “The Holiday Collection,” you can also expect liquid eyeliners, a makeup brush, and a new lip gloss called the Cosmic Gloss. Whie we can’t confirm pricing just yet, the collection launches on October 13 at Sephora, both online and in-store.